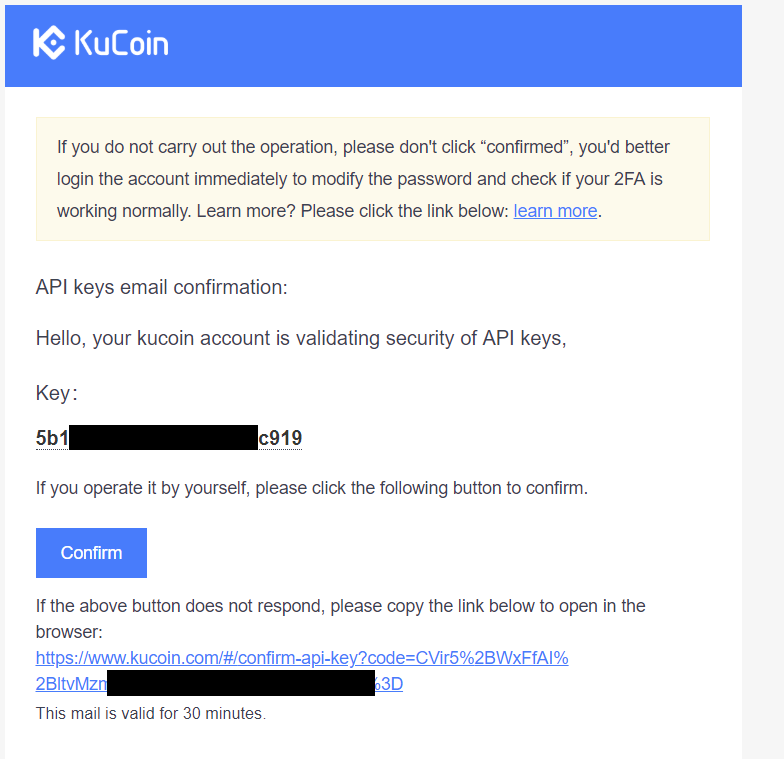 NOTE: You must need to enable 2FA (Two-factor authentication) security questions before creating an API on KuCoin. 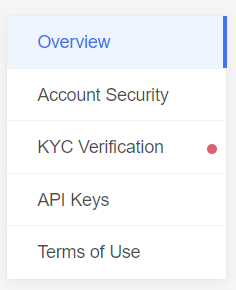 If you have not enabled 2FA and created security question you will be redirected to security menu where you will be asked to enable and set security questions. Click on “Create” followed by entering your password, answering your security question and 6-digit 2FA code. Confirm the action from the mail received. Once Confirmed, it will be enabled by default (You can easily enable or disable the API by using the toggle switch).